On the fourth weekend of July, Malbork will play host to a reenactment of the siege of Malbork, one of the greatest medieval battles. The three days will abound in numerous attractions, such as reenactments of knightly battles, a cavalry battle, crossbow and archery tournaments, artillery shows, special events for children as well as a fair of medieval and artistic craft. 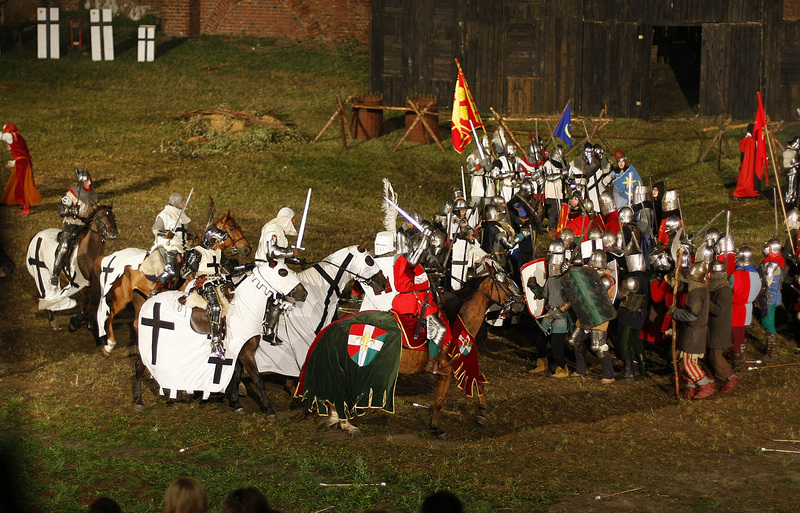 This year’s event is an evening reenactment of the battle for Malbork castle, which was fought in 1410, when King Władysław Jagiełło’s Polish-Lithuanian army unsuccessfully besieged the fortress following the battle of Grunwald. The event will feature around 200 historical reenactors, stunt performers, horses, and replicas of medieval weaponry. We will also see artillery battles and melees. Tickets available on www.eventim.pl erworben werden.